Saul Bass is a legend in the world of graphic design and created many of the iconic logos that helped define the aesthetic of corporate advertising in the ‘60s, ‘70s, and ‘80s. If you’ve ever stared at the simple perfection of classic logos for AT&T, Quaker Oats, Dixie, and the United Way, you can thank Mr. Bass. At the same time, Bass made equally important contributions to the art of film posters and title sequences, which eschewed the clean, calming minimalism of his corporate branding for a busy, dynamic, handmade look. Bass’ film work is probably most associated with Alfred Hitchcock’s Vertigo and Psycho, as well as Otto Preminger’s Anatomy Of A Murder. Another auteur with whom Bass worked was Stanley Kubrick, a man with an equally strong vision. 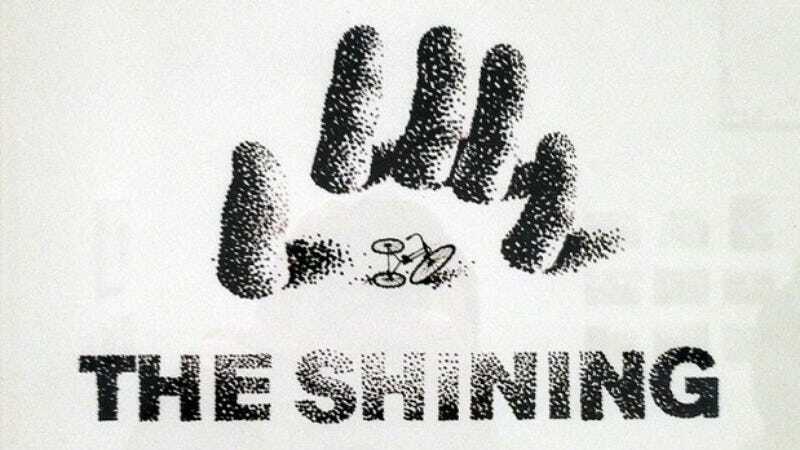 Their artistic exchange is captured in a series of poster concept pitches for The Shining, submitted by Bass, and annotated by Kubrick. The inspiration that came to Bass was in the form of stippled images that emerge and recede from white space but, as it turns out, Kubrick really didn’t like that. Below, check out these potential logos, Kubrick’s direct critiques, and then see where the finished process arrived. The final poster overloads the stippling effect to create a black background, presumably satisfying Kubrick’s need for more visual heft. Instead of objects lost in the snowbound home of the Overlook Hotel, we see Danny Torrance’s face emerging from the darkness, creating a sense of dread that taps into Edvard Munch’s The Scream.